Pruning – Many structural problems in ornamentals can be corrected right now, before plants leaf out, with corrective pruning. 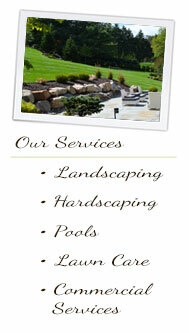 Clean-Up – Leaves and debris should be raked and removed from lawn areas, as well as shrub and flower beds. Mulching – A spring application will help to prevent weeds, conserve moisture in the soil and keep soil temperatures cooler as the weather heats up. There is no one-size-fits-all solution to great landscaping. While thoughtful, deliberate planning is crucial to any outdoor project, the possibilities are endless. Every property is unique, as is every homeowner. 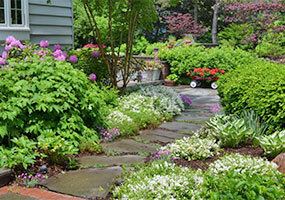 Your home’s landscaping should reflect your own style and personality. 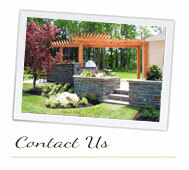 Functionally speaking, the way in which you intend to use your outdoor spaces will guide your plan. 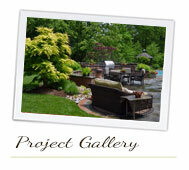 Do you want to develop an extensive outdoor living area? 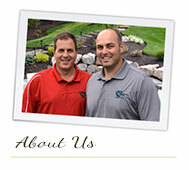 How much of your yard do you want to devote to turf areas vs. plant beds? 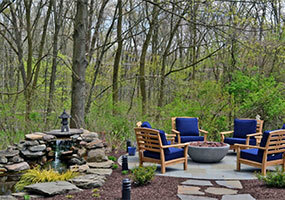 After functionality has been addressed, it is time to think about the overall landscape style. Are you going for a tidy, manicured look, or more wild and untamed? Will the landscape be dominated by larger trees, or will the area be more open with a focus on smaller plants and shrubs? The fun part is that there are no right or wrong answers! So let your mind wander. Your yard is an empty canvas that will eventually be more than just a pretty picture, but rather a living, breathing landscape. The shape and style that it takes are totally up to you – so be creative! On a hot summer day, nothing is more inviting than a swimming pool in your own backyard and the ability to take a refreshing dip with family, friends, or even by yourself. With your own swimming pool, your home can become a vacation getaway, even if your trips only last a few hours. With children out of school and family schedules off-kilter, summer can be exhausting. A pool allows you to step back and actually enjoy summertime weather, for an hour or for an entire afternoon. You will also see your backyard become a destination for friends, family, and neighbors. While summer is known as the season of relaxation, busy schedules cause it to fly right by. By the time you look up, it’s already Labor Day. Your own pool lets you savor the summer in your own backyard.